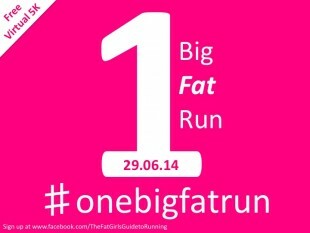 If you have found yourself here nosing around the blog, please head over to www.toofattorun.co.uk where not only will you find all of the blogposts from the last 4 years but also loads of new running resources and ways to get involved in the campaign. This site will stay up for the next few days and then be archived and traffic redirected automatically. How do we follow your new site? And, congrats on the great new site!